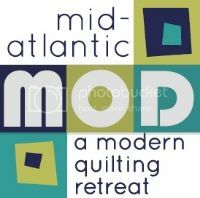 mid-atlantic mod: a modern quilting retreat: Thanks to our prize sponsors! Phew! What a weekend! I think everyone can agree we had an amazing time. I'll try to write a wrap-up post soon with some pictures of the retreat, but for now I wanted to take a moment to thank some of our amazing sponsors who helped make it an event to remember. 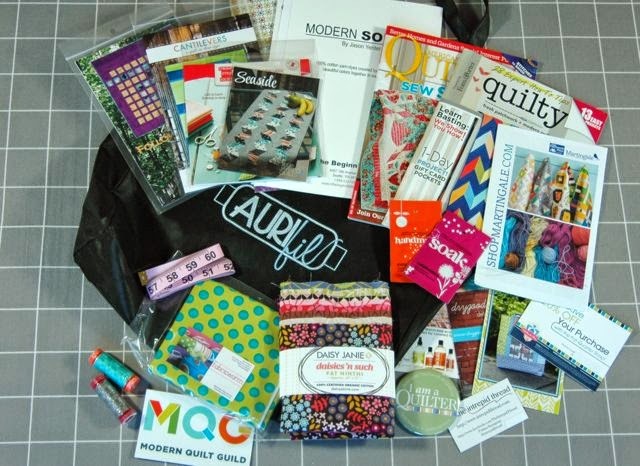 We had tons of great giveaways to share, and it all started with an awesome swag bag for everyone! 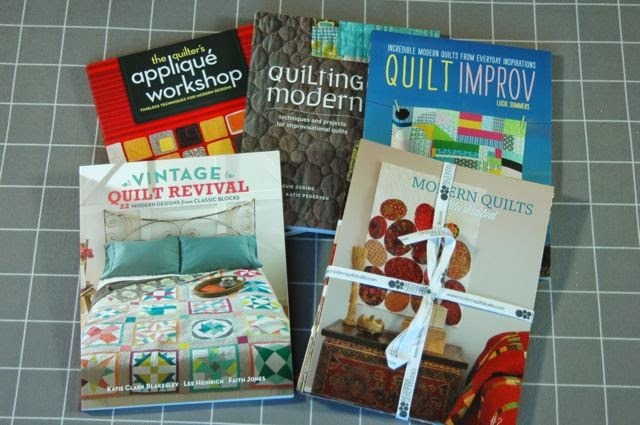 Daisy Janie Fabrics, Empty Bobbin, Jaybird Quilts, Esch House, Straight Stitch Society, Quilty, American Quilter, Modern Solids by In the Beginning, Aurifil, The Modern Quilt Guild, Fabricworm, Intrepid Thread, Pink Chalk Fabrics, Soak, and some online shop discounts. 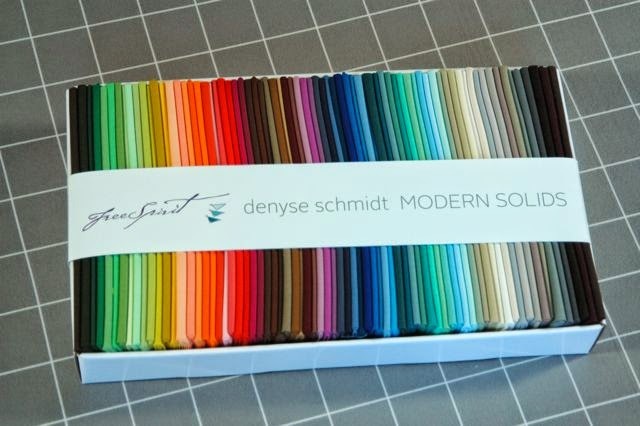 Perhaps most coveted giveaway was this awesome Denyse Schmidt Modern Solids fat quarter pack. Yum! 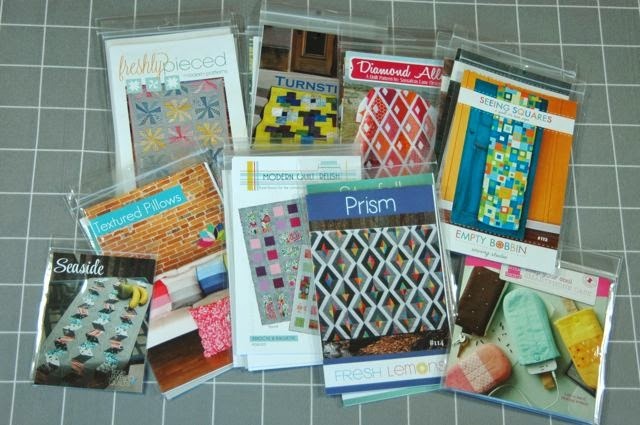 (clockwise from top left) Freshly Pieced, Esch House, Sassafrass Lane, Empty Bobbin, Straight Stitch Society, Fresh Lemons, Modern Quilt Relish, V & Co, and Jaybird Quilts. 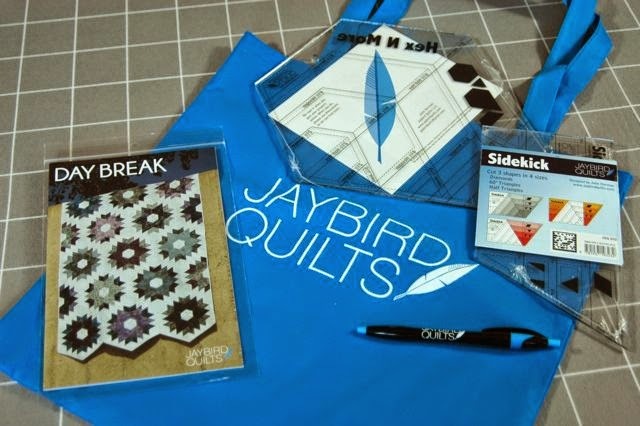 Julie Herman of Jaybird Quilts donated this awesome set with both her rulers and her Day Break pattern. 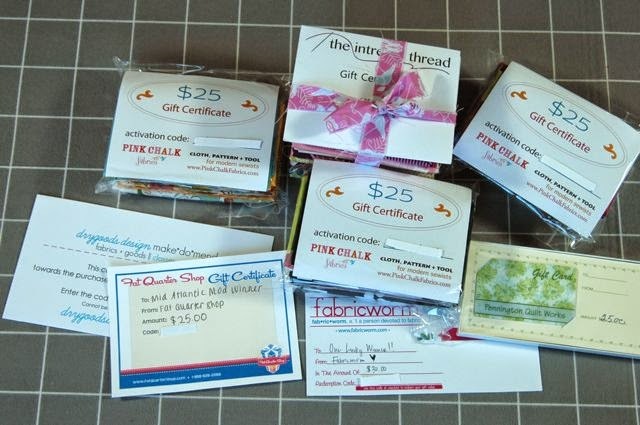 Our cocktail mixer on friday night was sponsored by some great shops including: Fat Quarter Shop, Pink Chalk Fabric, The Intrepid Thread, Fabricworm, 1 Choice for Quilting, Pennington Quiltworks and Drygoods Design. Some lucky attendees got to do some online shopping with the gift certificates they won. We had a wide selection of books as prizes too. 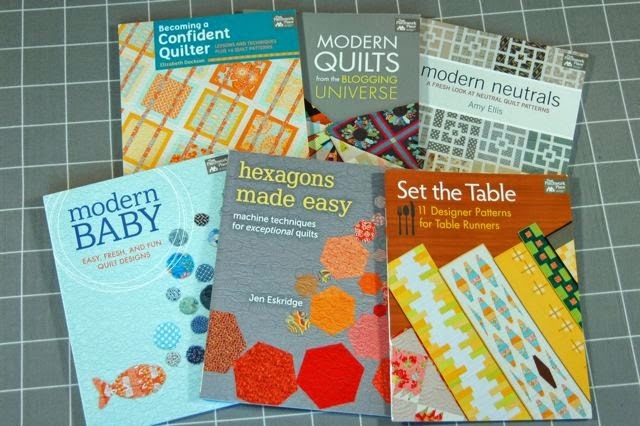 Some of the ones from Stash Books. 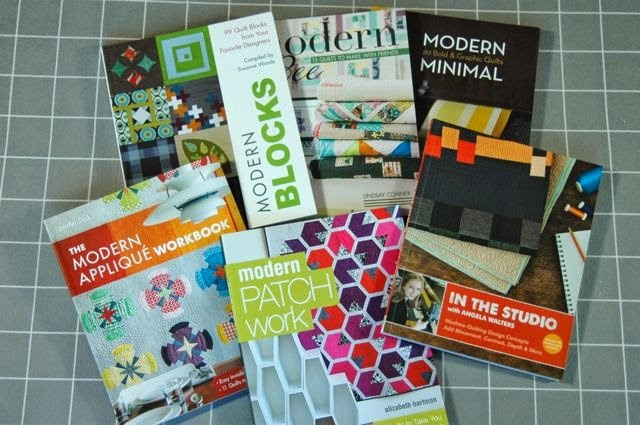 And from F + W and Modern Quilts Illustrated. 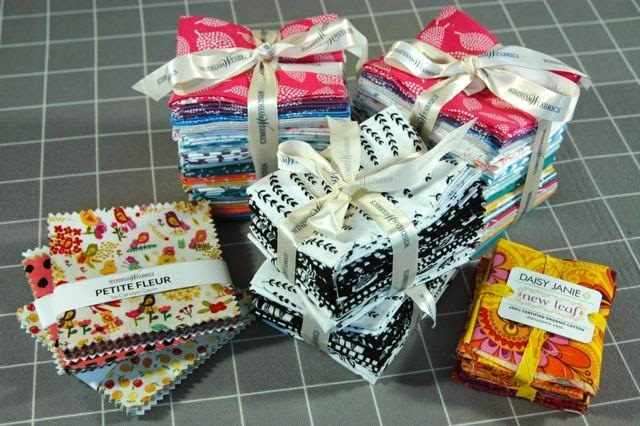 There were beautiful Lotta Jansdotter fabric bundles from Windham Fabrics and some other fabrics giveaways from Windham and Daisy Janie. 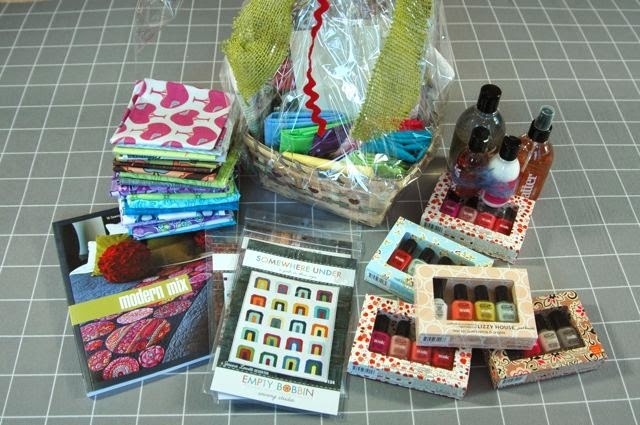 Some misc prizes from Byrne Sewing Connection, nail polish packs and Flatter from Soak, book, patterns and fabric from Jessica Levitt Design. 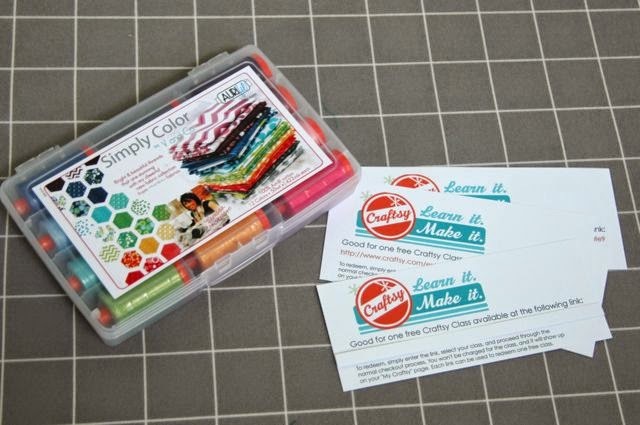 A gorgeous Aurifil thread pack and free classes from Craftsy. Please remember to support our sponsors and check your swag bags for discount codes to do more shopping! happy to located this weblog. i've a few records associated with this weblog and that i would really like to proportion with all its readers. simply it's far going to assist everyone and conscious people with some more informed elements.